It is always a bonus finding a vintage photograph of somebody with their name on the back, but to find one with the sitter’s address is very unusual. 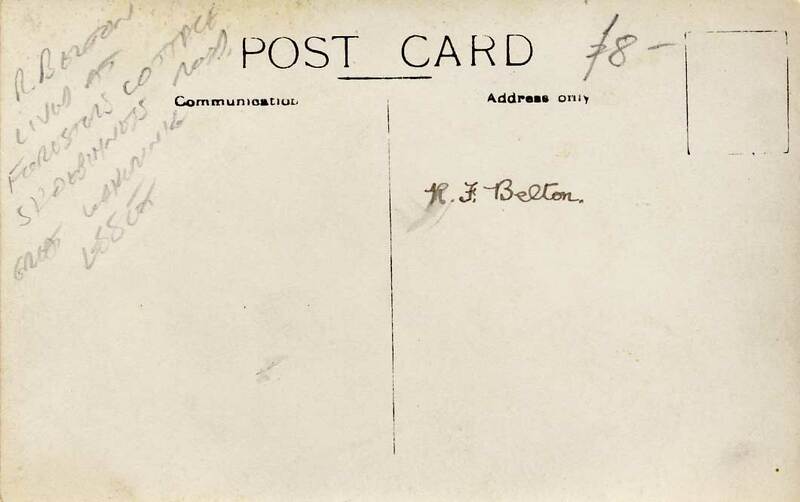 “R Benton lived at Foresters Cottage, Shoeburyness Road, Great Wakering, Essex”. This photograph will shortly be placed on my website. 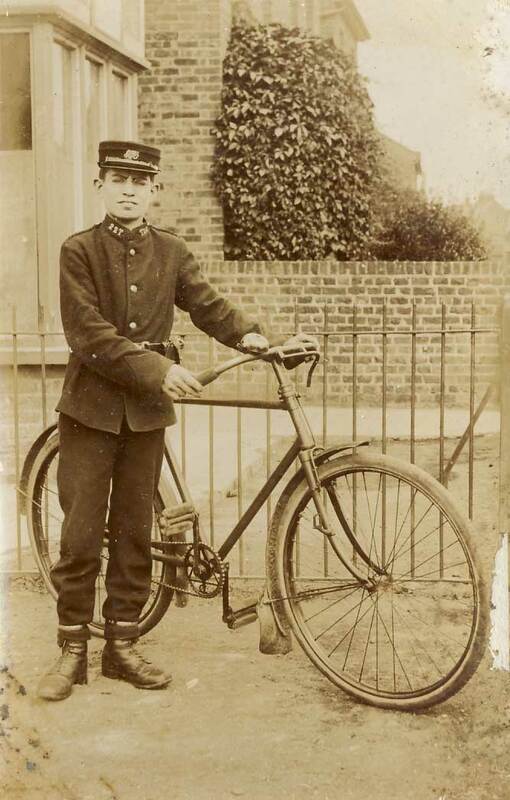 This entry was posted in Back - Divided, Postcards, RP Postcard and tagged Essex, Great Wakering, Telegram Boy, United Kingdom. Bookmark the permalink. There are not many R F BENTONs for this date. The following is the most likely. Richard F. BENTON age 15 years Telephone Attendant born Shrewsbury, Shropshire. He is most likely the Richard F. BENTON who was a Sjt. in the 4 Sig. troop, Royal Engineers. Thank you for this helpful information, Sarah. My own search of the 1901 Census suggests that you have the right person here. If so, he certainly moved around a bit. Let’s hope this helps somebody to prove their descent from R F Benton.